Paleomagnetic field analysis occupies a separate place in the variety of studied physical parameters, since it assists us in obtaining specific ‘stamps’ of past geomagnetic field configurations. It is well-known that life on Earth and all geological-environmental processes occur in the changing geomagnetic field (the Earth’s magnetic field intensity is now decreasing). Geological-geophysical records indicate that hundreds and hundreds of Earth’s magnetic field reversals have occurred. Paleomagnetic research has revealed information about ancient (from hundreds to billions years ago) magnetic field changes, which reflects definite geological, archaeological, cosmological and environmental events of that time. Some geodynamic and tectonic information derived from paleomagnetic field analysis cannot be obtained by any other geophysical or geological methods. 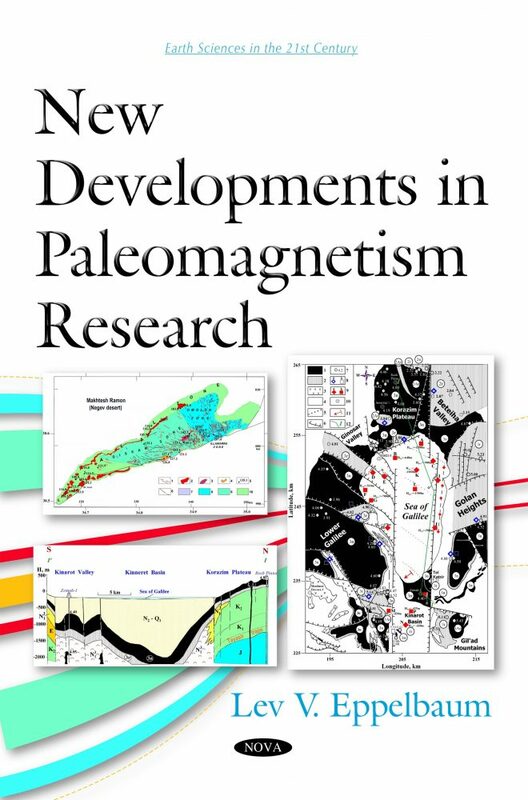 This book reveals the current understanding of leading scientists studying paleomagnetic on new approaches and results in different regions of the world. Three main issues are presented in the book: a comparison of the Earth’s geomagnetic field and the Earth’s biota evolution processes over the last 2.5 billion years (Chapter 1); combined paleomagnetic mapping examples of some areas of the Eastern Mediterranean (Chapter 2); various aspects of archaeomagnetic artifact examination, including advanced mathematical approach applications (Chapters 3 and 4); and utilization of geomagnetic data from the past for historical reconstruction of China and Mesoamerica (Chapter 5). The five chapters present results of investigations of scientists from different scientific schools and demonstrate the application of various methods and approaches to analyze ancient and comparatively recent geomagnetic fields. Undoubtedly, these results are interesting both from theoretical and practical points of view. This book is intended for students of corresponding specialties, geologists, geophysicists, archaeologists and environmental scientists. This book can also be of interest to the general public interested in paleomagnetism, archaeology, geology and geophysics. Alexey Yu. Kazansky, Professor, Moscow State University, Moscow, Russia. To read the review, click here.